This week at Inspired by all the Little Things, they are having a celebration because they have reached their 50th challenge. Isn't that wonderful? 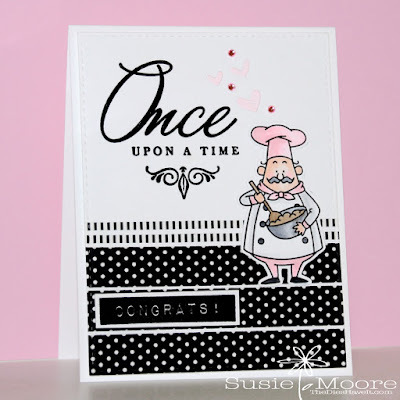 This scene looks like a wedding or shower photo, so I decided to make a card with a cute chef stirring up some cake to share. I loved the black and white stripes too, so I added a few to my card. Love your sweet take on this weeks inspiration! 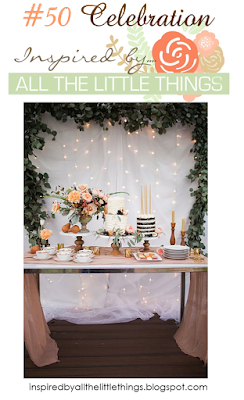 Thank you so much for helping us celebrate our 50th challenge over at Inspired By All The Little Things!